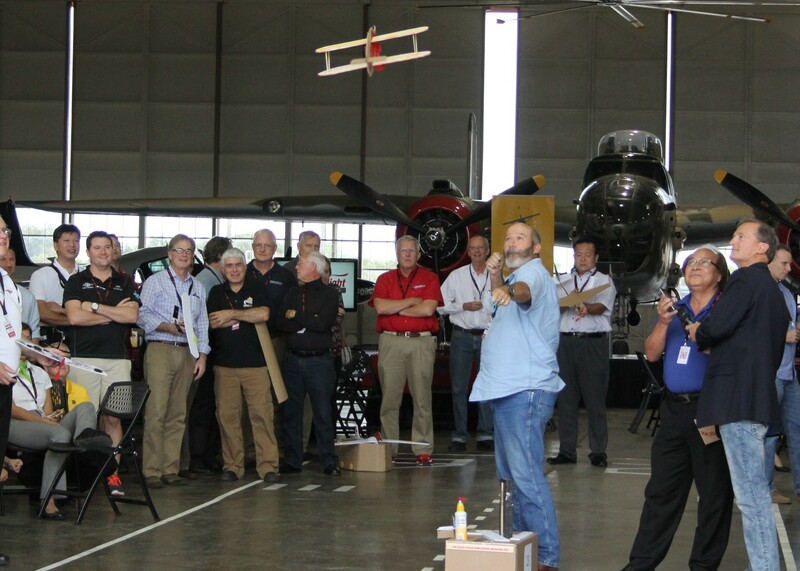 The 6th annual Migration Flight Training Conference is in the books. Bringing together 250 people from all over the world, it was another successful gathering full of idea sharing, networking, and forward thinking discussions. For an event that is so near and dear to my heart, it is difficult to narrow down, but here are my favorite parts from Migration 2016. For those who missed it, this barely touches the surface of the awesomeness that was Migration 2016 and we hope you’ll join us next year and experience it yourself. At Redbird, I am surrounded by so many smart and innovative people and we’ve been talking about the power of “big data” for a while now. It was great to share these concepts with Migration attendees in a few ways. First, Jim Barry, President and CEO of PASSUR Aerospace served as the keynote speaker on Wednesday. Mr. Barry discussed the importance of harnessing data to allow accurate predictions, better decisions, and data-driven improvement. PASSUR has been collecting data for the airline industry for decades now, which has resulted in a significant reduction in airline diversions, gate holds and delays. We haven’t even touched the surface of what data aggregation could do for flight training and general aviation; it’s exciting stuff. You can view Mr. Barry's presentation and others here. During the breakout sessions, the creators of the debriefing App, CloudAhoy, talked about the importance of data collection for effective debriefings. Cloud Ahoy, in concert with data collected by Redbird’s Sidekick technology, allows information from flights in the airplane and training sessions in a Redbird sim to be measured, evaluated, and used in a variety of ways to enhance each training session. Redbird is a huge fan of all things pilot proficiency. Last year at Migration 2015, the President of Hartzell Propeller, Joe Brown, talked about the importance of routine proficiency training. In just a little over a year, this concept has taken shape in two impactful and actionable ways. First we had the Pilot Proficiency Center at AirVenture and then at Migration, AOPA Air Safety Institute’s George Perry presented a breakout session on the Proficient Pilot Flight Review Program (PPFR). In partnership, AOPA, EAA, NAFI, SAFE and members of FAASTeam are working to develop a national program that provides a high quality, safety focused flight review. The PPFR leverages historical accident data and tailors its design to teach pilots the skills they need to avoid mishaps. It will provide the pilot a customizable syllabus with electives that can be accessed from the web and will link them to the best instructors and flight schools to facilitate their training. only the materials provided in the box. To show our support, the team at Redbird even made a sample. 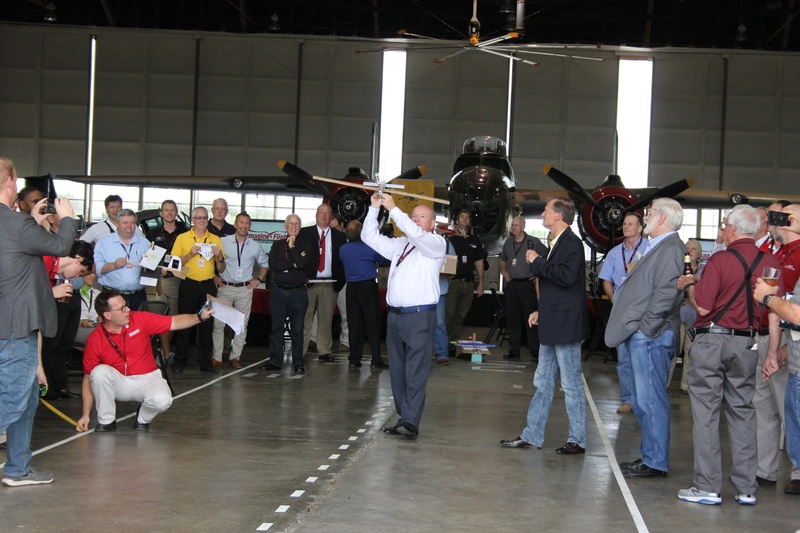 I don’t think I’ve laughed as hard at work as I did when teams were trying to fly their airplanes on the runway in the Commemorative Air Force Hangar. It turns out, bringing it back “old school” to arts and crafts and then promoting uncontrollable laughter certainly helps bring people together. In fact, AOPA said it was “magic”. This year’s Migration was stellar. We had record attendance and positive feedback from everyone. But, there are always new things we’d like to try and things to improve on. We are excited for what comes next. The Migration team has already held a meeting to debrief the event and to start planning for next year. In 2017, we are trying something new and taking the show on the road. 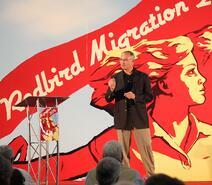 Migration will be held at the EAA Museum in Wisconsin on October 16, 17, & 18. Mark your calendars now!